Work and the nature of occupations are matters of central concern to the sociologist. 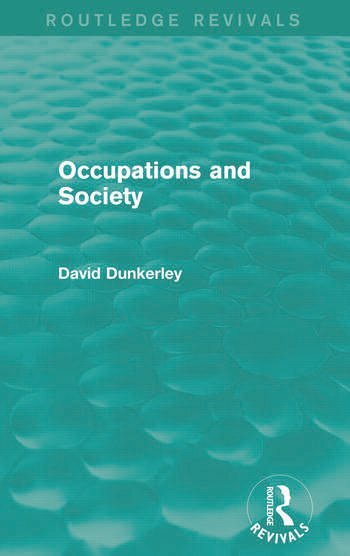 In this basic introduction to the sociology of professions, occupations and work, first published in 1975, David Dunkerley provides a theoretical basis for the study of a subject that previously had a strong empirical tradition. Drawing on comparative literature, the author analyses the structure of occupation, the processes of occupational life and how occupations are related to the predominant culture. The effects of occupations on the non-work lives of individuals are also examined, and extended examples are given of managerial and scientific occupations as case studies.